Closeouts. 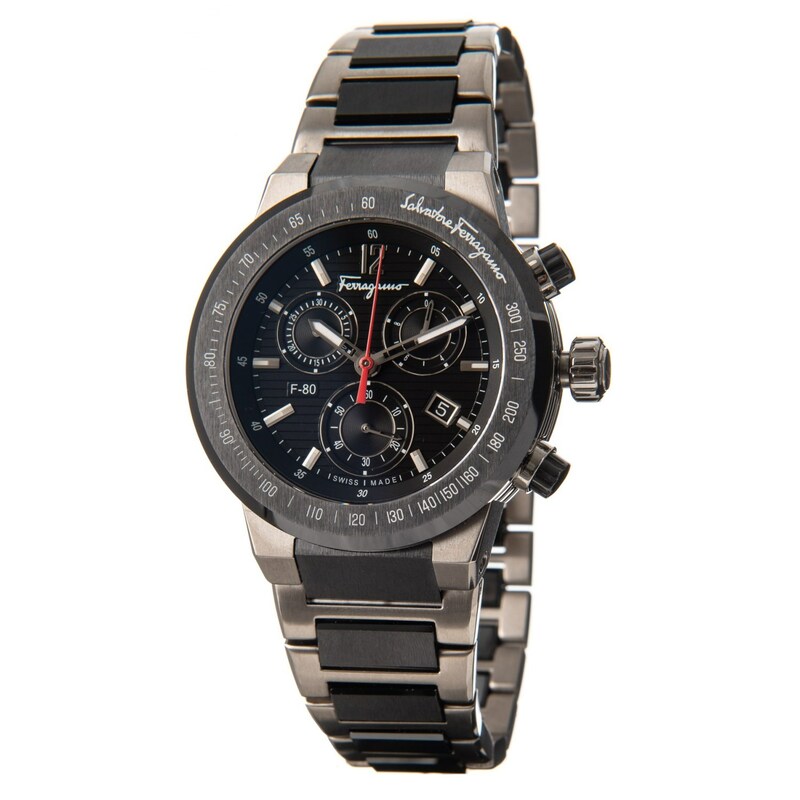 This best-selling Salvatore Ferragamo F-80 watch has been updated with a chronograph display for even greater functionality and style. Luminous markers ensure you can always tell the time, even in the dark.